Philip Lee was proud to be the exclusive legal sponsor of the Construction Industry Federation’s third International Women’s Day Conference, which took place on March 8th at The Morrison Hotel, Dublin. Over 200 delegates gathered to celebrate the achievements of women in the construction industry and discuss the challenges women in the industry still experience. 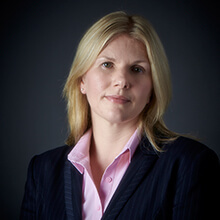 Clare Cashin, Partner within our Projects Group, featured among the contributors on the day.